Endometriosis of the round ligament of the uterus is a rare clinical pathology, that is difficult for differential diagnostics. Clinical case of the endometriosis of the round ligament of the uterus is described. Issues of etiology and pathogenesis of inguinal endometriosis are mentioned. Modern views about diagnostics and treatment of endometriosis are described. Mapping of data of gynaecological anamnesis, complaints with the results of laboratory and instrumental research methods allows put correct preoperational diagnosis and decrease time from the first visit of doctor up to operative treatment. 1. Adamyan L.V., Kulakov V.I., Andreeva E.N. Endometriosis. Ed. 2. [Endometriozy. Izd. 2-e (in Russian)]. Moscow. 2007; 416 p.
2. Adamyan L.V., Sonova M.M., Tikhonova E.S., Zimina E.V., Antonova S.O. Problemy reproduktsii. 2011; 6: 78-81. 3. Gasparyan S.A., Ionova R.M., Popova O.S., Khripunova A.A. Akusherstvo, ginekologiya i reproduktsiya / Obstetrics, gynecology and reproduction. 2015; 4: 66-72. 4. Kuznetsova I.V. Effektivnaya farmakoterapiya. 2014; 35: 18-24. 5. Loginova O.N., Sonova M.M. Akusherstvo, ginekologiya i reproduktsiya / Obstetrics, gynecology and reproduction. 2011; 3: 5-9. 6. 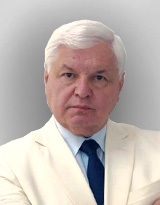 Orazov M.R., Chaika A.V., Nosenko E.N. Akusherstvo, ginekologiya i reproduktsiya / Obstetrics, gynecology and reproduction. 2014; 3: 6-10. 7. Endometriosis: diagnostics, treatment, rehabilitation. Federal clinical practice guidelines for treatment of patients. Under the editorship of L.V. Adamyan [Endometrioz: diagnostika, lechenie i reabilitatsiya. Federal'nye klinicheskie rekomendatsii po vedeniyu bol'nykh. Pod red. L.V. Adamyan (in Russian)]. Moscow, 2013; 86 p.
8. Candiani G.B., Vercellini P., Fedele L. et al. Inguinal endometriosis: pathogenetic and clinical implications. Obstet Gynecol. 1991; 78: 191-194. 9. Goh J.T.W., Flynn V. Inguinal endometriosis. Australian and New Zealand Journal of Obstetrics and Gynaecology. 1994; 34: 121. 10. Gui B., Valentini A.L., Mingote M.C. et al. Deep endometriosis: don’t forget about round ligaments. MRI features, clinical and anatomic review. European Society of Radiology. 2013. DOI: 10.1594/ecr2013/C-1100. 11. Hagiwara Y., Hatori M., Moriya T. et al. Inguinal endometriosis attaching to the round ligament. Australas Radiol. 2007; 51: 91-94. 12. Kapan M., Kapan S., Durgun A.V., Goksoy E. Inguinal endometriosis. Arch Gynecol Obstet. 2005; 271: 76-78. 13. Licheri S., Pisano G., Erda E. et al. Endometriosis of the round ligament: description if a clinical case and review of the literature. Hernia. 2005; 9: 294-297. 14. Mashficul M.A.S., Tan Y.M., Chintana C.W. Endometriosos of the inguinal canal mimicking a hernia. Singapore Med. J. 2007; 48 (6): 157-159. 15. Novellas S., Chassang M., Bouaziz J. et al. Anterior pelvic endometriosis: MRI features. Abdom Imaging. 2010; 35 (6): 742-749. 16. Perez-Seoane C., Vargas J., De Agustin P. Endometriosis in an inguinal crural hernia. Diagnosis by fine needle aspiration biopsy. Acta Cytologica. 1991; 35 (3): 350-352. 17. Prabhu R., Krishna S., Senoy R., Thangavelu S. Endometriosis of extra-pelvic round ligament, a diagnostic dilemma for physicians. BMJ Case Rep. 2013. DOI:10.1136/bcr-2013-200465. 18. Seydel A.S., Sickel J.Z., Warner E.D., Sax H.C. Extrapelvic endometriosis: diagnosis and treatment. American Journal of Surgery. 1996; 171 (2): 239-241. 19. Uzunlar A.K., Yilmaz F., Yaldiz M. et al. Inguinal endometriosis: a report of two cases and a review of the literature. Turk J Med Sci. 2000; 30: 389-392. 20. Wong W.S.F., Lim C.E.D., Luo X. Inguinal endometriosis: an uncommon differential diagnosis as an inguinal tumour. ISRN Obstetrics and Gynecology. 2011; Vol. 2011: 1-4.